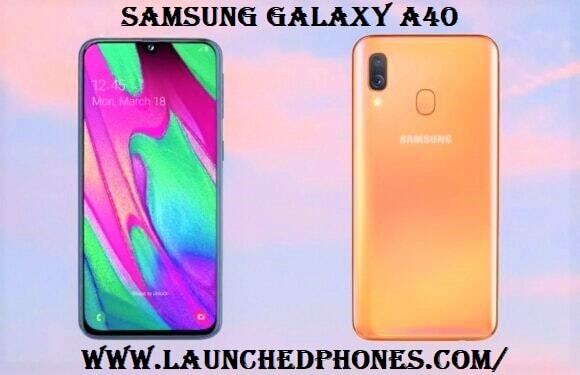 Samsung Galaxy A40 mobile phone launched after Samsung Galaxy A30 and A50 smartphone. This latest phone is compact and it really good. This phone is launched in Netherland and I have to say one thing, Netherland you are getting a good Samsung phone with the compact display and I was waiting for this phone from very long. The phone launched at a price of 249 Euros, which gets around $283 for the USA or ₹20,000 for India. The international launch date is not confirmed but this phone can be launched in other countries. Blue, Black, Corral, and White colors are revealed for this phone. The fingerprint sensor is placed on the rear side and you will get the 3.5mm jack. You will get Bluetooth, Wi-Fi etc. The 3,100 mAh battery is used in this phone for long battery life. This is a dual-Sim phone and you will get 4G VoLTE support also. This phone contains a good size display and this display is compact because in this phone, you will get a 5.9 Inches display. The display of thi9s phone comes with the Infinity-U display design. The display is FHD+ and display resolution is 1080x2340 Pixels. The Super-AMOLED display panel is used in this phone, which is the best display panel for the pricing. The phone runs on the Android 9 Pie with the One UI. This mobile phone runs on the Exynos 7885 Octa-core processor. The clock speed of this SoC is 2.2 GHz. You will get a 4 GB RAM in this phone and internal storage of this phone is 64 GB. You can expand this phone's memory up to 512 GB via memory card. On the rear side, you will get a 16+5 MP camera sensors. The 16 MP is the main sensor and 5 MP camera sensor is used to take the wide-angle shots. On the front side, you will get a 25 MP front camera, which looks premium. This phone contains the best display size for the pricing because it is compact and colors are too good. The cameras are also good but processors are not that good because you can get better processors at the same pricing. I am giving a pick to this phone but if you are a gamer then you can ignore this phone. I am giving the pick to this phone and you should definitely consider this phone but if gaming is your main priority then you can ignore this phone. I hope you liked my verdict. 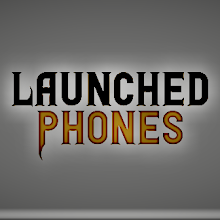 My name is Rohit Choudhry and you are reading the LaunchedPhones. I will meet you in the next article until then you just take care. Thank you to read this article and you can comment below to let me know, you favorite display size. Thank you😄!